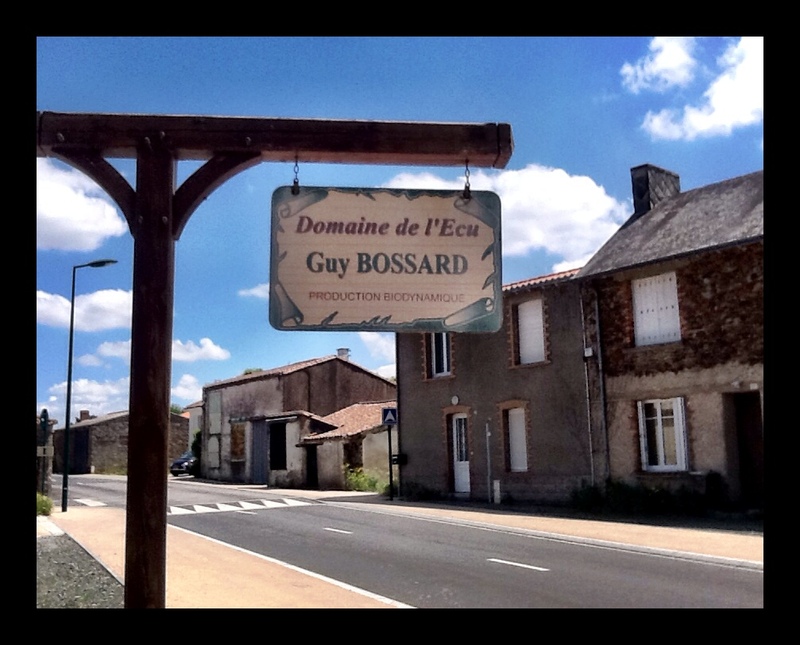 I visited Domaine de l’Ecu in June 2014 about a week after writing the final Diploma exam. I was still recovering from WSET trauma – but eager to meet renowned winemakers Guy Bossard and Fred Niger van Herck at this winery located southeast of Nantes on the easternmost fringes of France’s Loire Valley. Now in semi-retirement, Guy has handed the reigns over to a charming and dynamic Fred who has proven to be a more-than-capable successor. 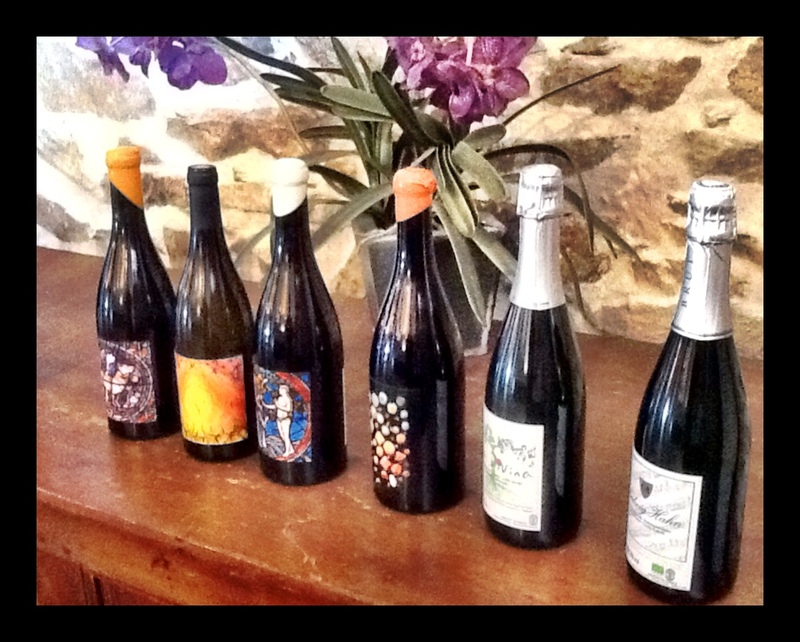 Eager to espouse the tenets of biodynamic and natural winemaking, Fred talked endlessly during the visit about being forced to de-classify this wine (and others) from the Appellation because of “bureaucratic protests” regarding ‘typicity’ of flavour, aroma and texture. 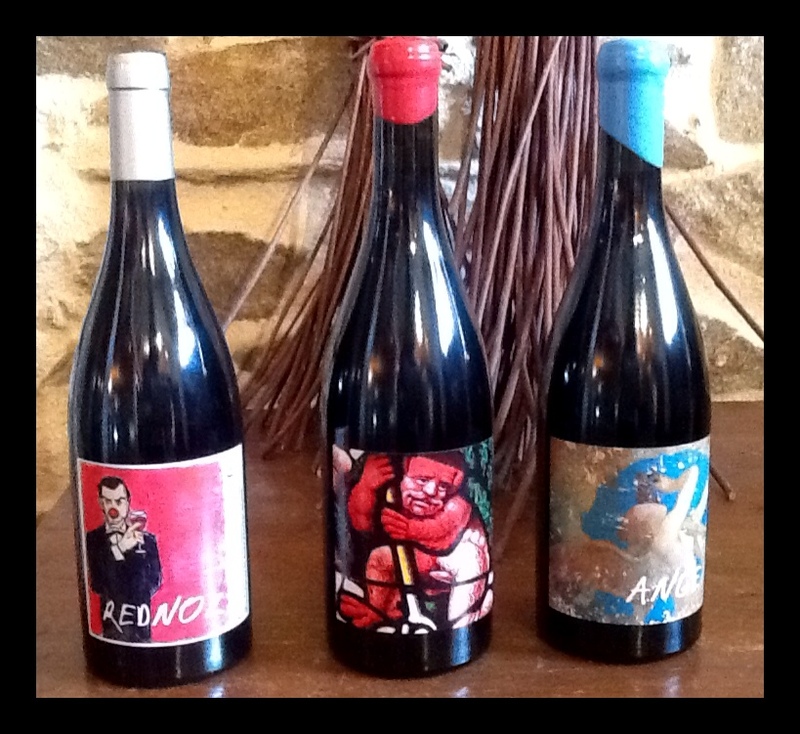 Thankfully he has a great sense of humour – which shows in their marketing too (ie: they have a wine called ‘Red Nez’). 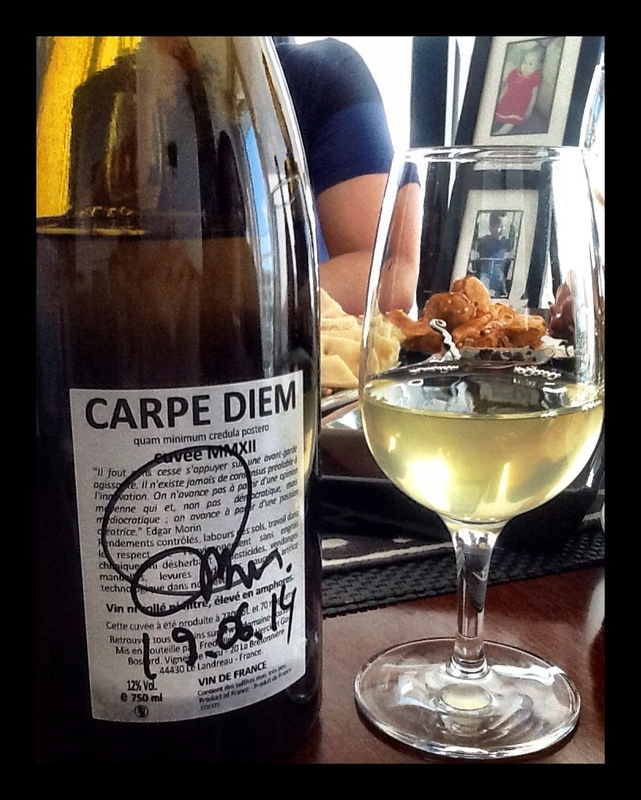 This wine is all natural, unfined and unfiltered with no added sulfites. 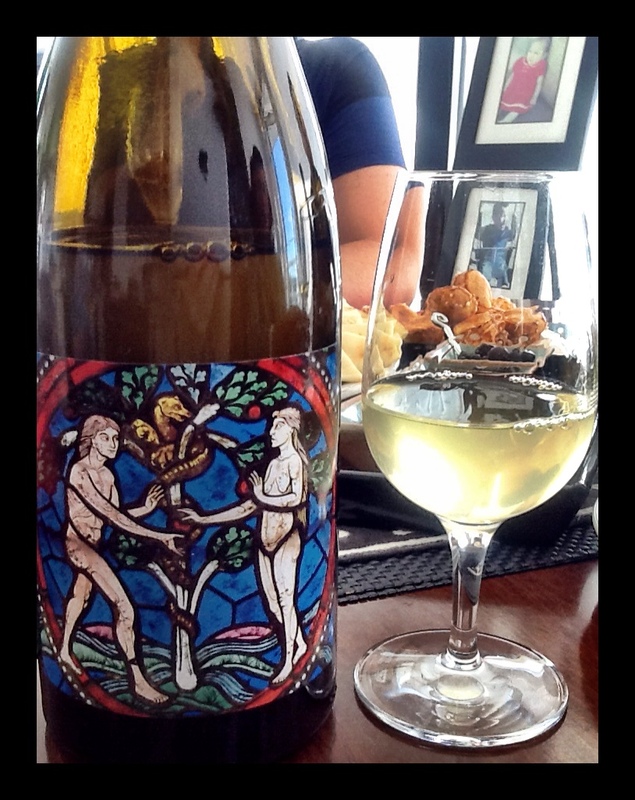 It was fermented with indigenous yeast and vinified completely in clay amphorae for 15 months. It’s hazy because of its natural status and is pale lemon with heavy legs. The nose is heavily mineral and herbal with notes of fennel and lemon balm with a great sweet black licorice aroma. Dry with medium minus alcohol and average acidity, it has medium plus body with medium plus flavours of more fennel, green herbs and lemon grass with that really cool didn’t-expect-to-find-it licorice note. Unctuous and full, this wine is rich in the mouth with a long finish. WSET Very Good – is drinking now but can be held for 5-7 years. Consume with as much seafood as is humanly possible. I had waited a while to open this – the WSET Diploma Survivors’ Group meeting was the perfect moment for sharing. 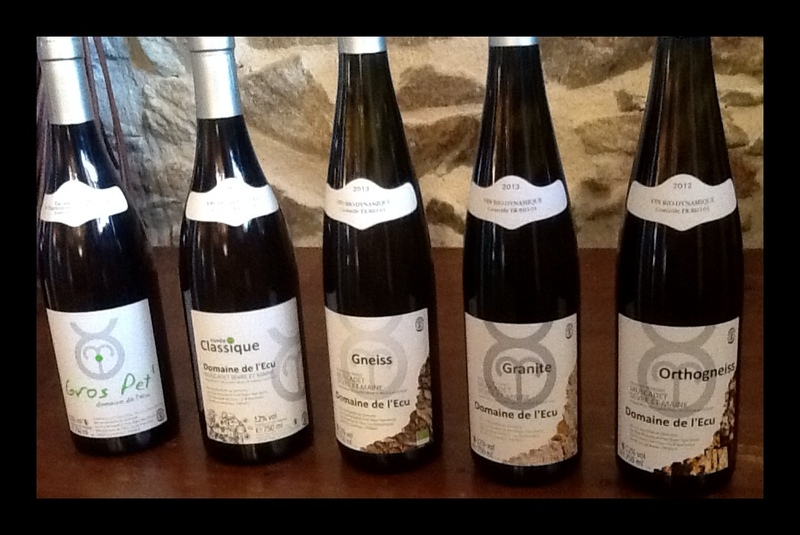 This entry was posted in France, Melon de Bourgogne, WHITE and tagged clay amphorae, domaine de l'ecu, france, Fred Niger van Herck, guy bossard, loire valley, melon de bourgogne, nantais, natural wine. Bookmark the permalink.